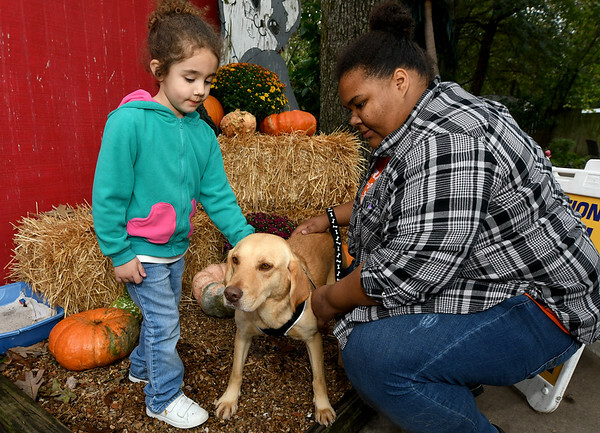 Three-year-old Alyssa Prado and Golden Paws employee Ally Whitaker visit with "Wilma Flintsbone" during the Golden Paw Animal Rescue and Sanctuary's Open House on Saturday at the shelter. Wilma is one of many dogs ready for adoption at the shelter. The day also included a 20th Anniversary celebration for the shelter on Saturday night at the VFW Post 534.